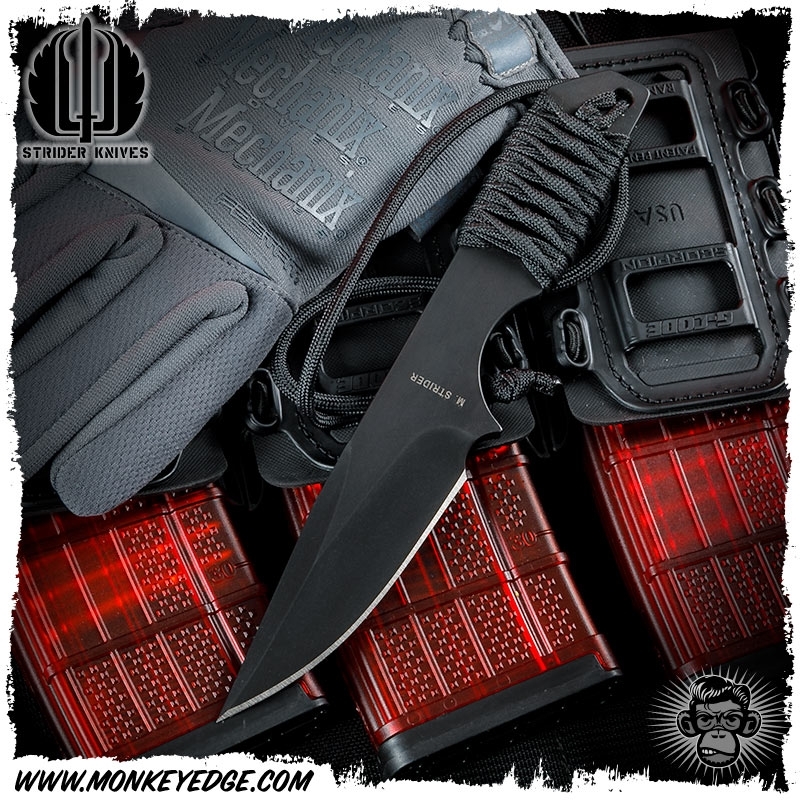 Sometimes, the Strider crew just likes to bust out some insanely bad@ss knives. 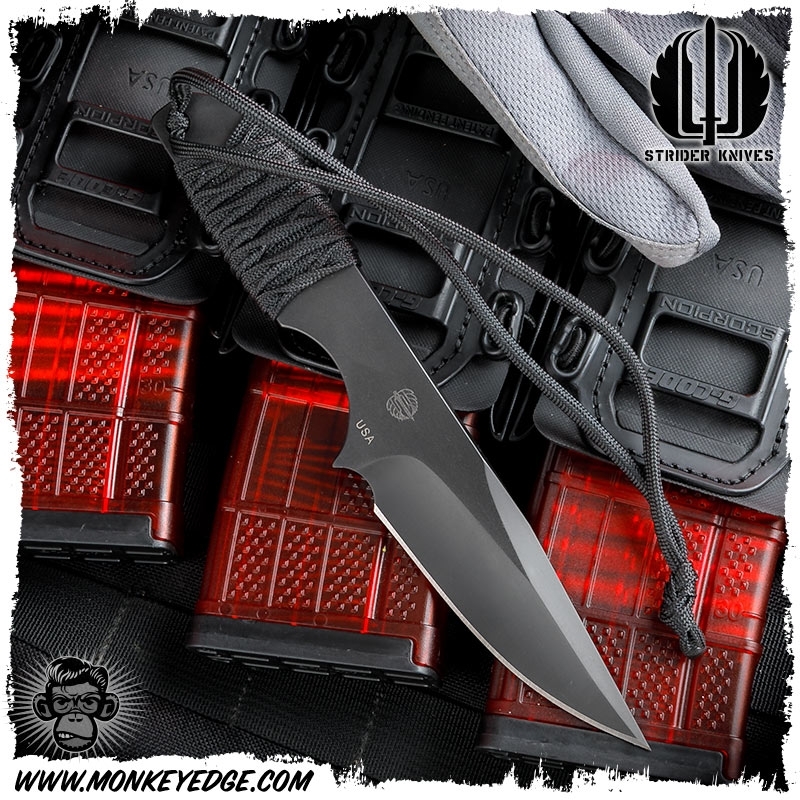 They took some blanks for DB-L's and hand ground out these drop point blades with huge upper "dagger" swedge grind (not sharpened). The blade has black oxide finish and the knife has a paracord wrapped handle. 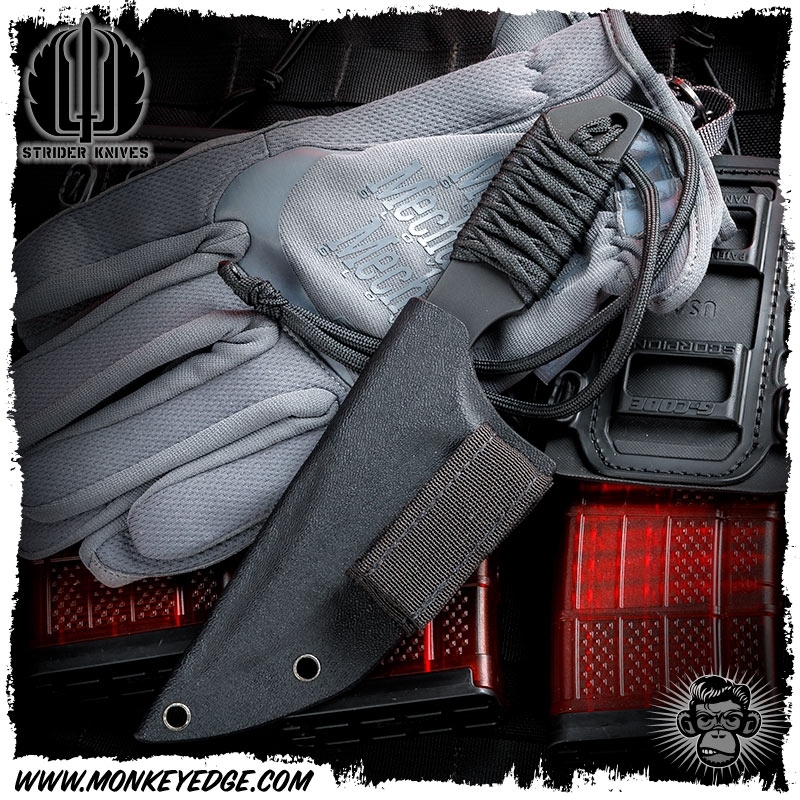 The molded kydex sheath comes equipped with velcro loop but will accept most mounting hardware/clips, allowing flexible options on how to mount the knife. Removing the lower screw from the loop lets you wear the knife inside the waistband. Note: Due to the unique shape and size of each one, they will NOT fit any of the Monkey Edge FRAG grips.